Local telecom giant Dhiraagu launched Tuesday a new postpaid package offering 15 GB of data. Titled “Smart Premium Plus”, the 15 GB data postpaid package features 5,000 free call minutes to all the networks in the Maldives and 8,600 free minutes of talk-time to three contacts. In a press release, Dhiraagu stated that Smart Premium Plus is especially designed for their premium customers. The package features 3000 SMS and 50 percent discount on international calls to one country of the customer’s choice with a monthly fee of MVR 999. 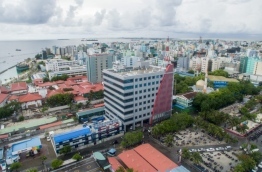 The new release comes in the wake of major advances to Dhiraagu’s services recently including slashes in the rates of some packages and additional data allowances in others. Smart Premium Plus is the sixth addition to the range of postpaid packages offered by Dhiraagu.